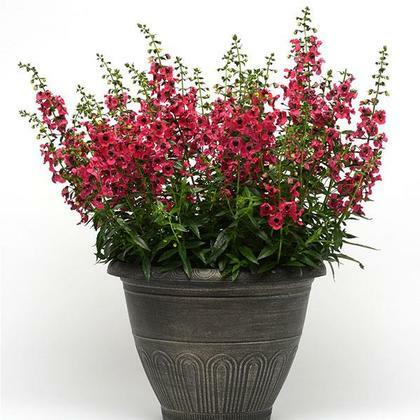 The first red Angelonia. Large, cherry red blooms held on spikes above dark green foliage. As with others in the Archangel™ series, a great performer for heat, humidity and drought.